On September 13, 2017, Los Angeles was awarded the 2028 Olympic Games and Paralympic Games. The Games will be LA’s first since 1984, and will create a new Games for a new generation of young Angelenos. The Games in 1984 were an unprecedented financial success, netting a surplus of $232.5 million, 40 percent of which established the LA84 Foundation. The Games also captured the hearts and minds of Angelenos, inspiring millions, including a young swimmer named Janet Evans. Evans also noted how the legacy of the 1984 Games directly impacted the 2028 bidding process. “We at LA 2028 certainly and without a doubt stand on the shoulders of the amazing success and legacy of the 1984 Olympic Games,” she said. “The 1984 Olympics were an inspiration and continue to be an inspiration to us all and we hear about it from so many people. They want to Games to come home because they remember the Games from 1984.” As she and the LA 2028 look ahead to the next 11 years, Evans was sure to mention how the sustainability of the Games is crucial in transforming Los Angeles and its communities before, during, and after such a monumental event. Evans was 12 years old during the 1984 Games, and noted her two most memorable moments as a spectator were 1964 Olympic decathlon gold medalist and LA84 Foundation board member Rafer Johnson lighting the Olympic cauldron during the Opening Ceremony as well as Joan Benoit Samuelson running into the LA Memorial Coliseum to win the gold in the first-ever women’s Olympic marathon. Evans was asked by Los Angeles Mayor Eric Garcetti and LA 2028 chair Casey Wasserman to join the bid team in 2015, during the initial stages of the bid. When using three words to describe the LA 2024 bid, which later turned into LA 2028, Evans listed the bid as bold, mind-blowing and cool. “We’re not changing our city to fit the Games, but creating a Games that fits the needs of a city and its communities,” she added while noting how California is home to companies on the forefront of technological innovation and creativity. 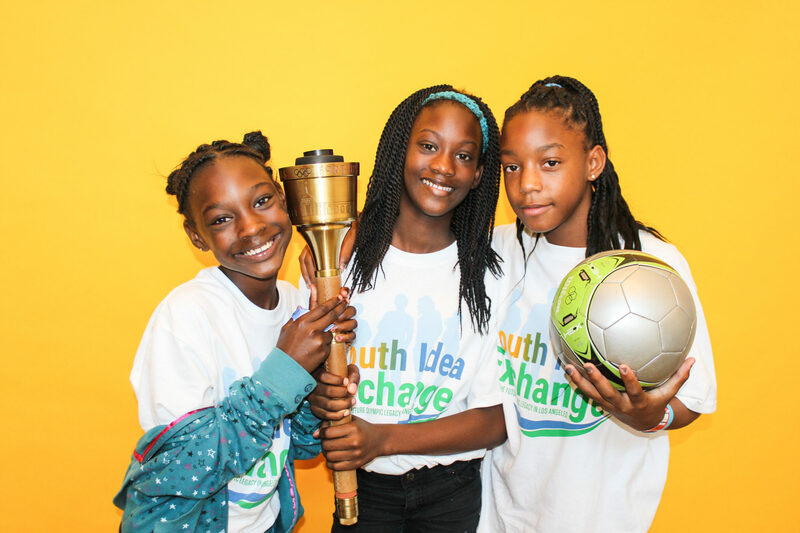 The LA84 Foundation and LA 2028 hosted 250 LA youth to convene on how the next generation can benefit from the future Olympic and Paralympic Games. Learn more about LA 2028 here.